In most parts of the country right now the weather ranges from somewhat mild to downright cold. In either case, you may not need a North Face but some type of jacket is both a comfort necessity and a style element so why not be fashionable in your outerwear rather than frumpy? Think about it, your coat makes a major first impression for you and of you. When you enter a room, office, store, airport, or wherever, your coat basically tells others a lot about you. Are you traditional, funky, chic, casual, trendy, or maybe even flirty? What you wear over your clothes will answer that question, and more. I’m a big fan of double-breasted wool coats, quilted car coats, barn jackets, trench coats, pea coats and any coat with toggle buttons. Most of these are basic, traditional pieces, especially the trench. 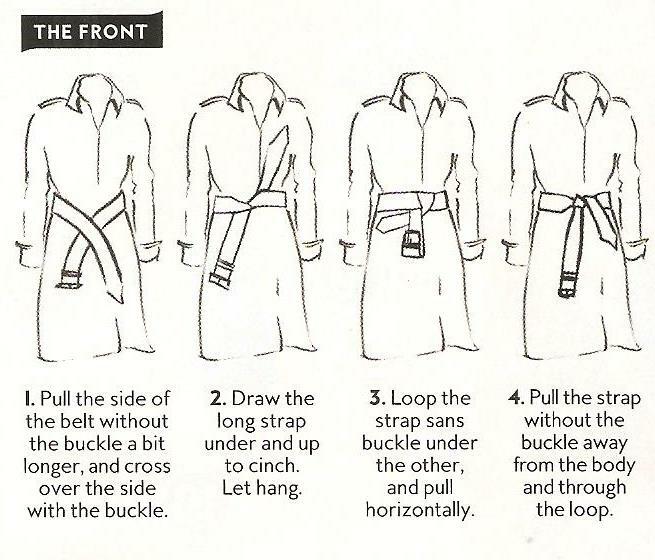 Trench coats are great light weight choices for those of us in non-frigid areas. 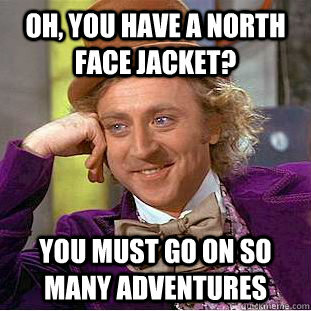 Most are warm enough and many are waterproof. They are also timeless. If you can splurge, think Burberry. 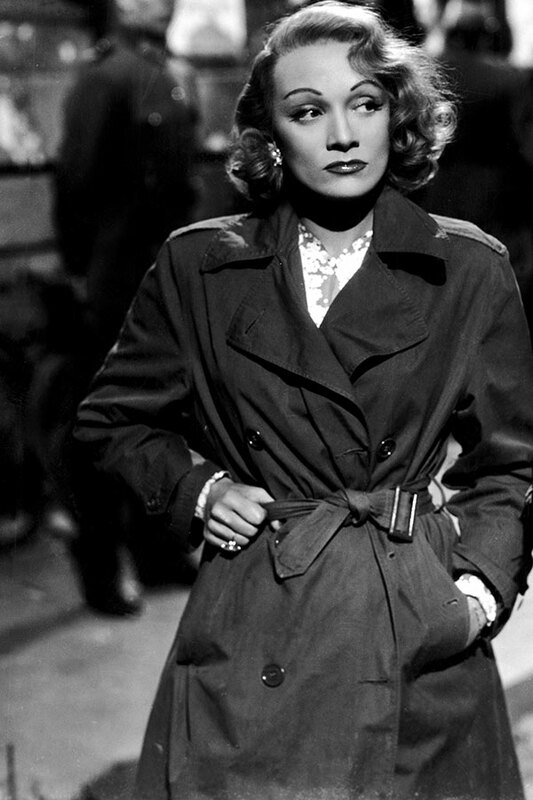 London-based Burberry is credited with creating the first trench more than a century ago. Its original version, known as the Sandringham, is still around today and through the years other versions have been seen everywhere from battlefields to Hollywood. Back in 1879, Thomas Burberry invented a revolutionary breathable and waterproof fabric called gabardine. 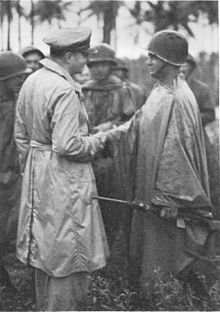 Although lampooned in the 1980s, the much-maligned fabric is still the material of choice for trench coats and was a key reason they were given to British officers during WWI. Burberry supplied British troops with half a million of them over four years of battles and the coats returned to the frontlines in 1939 during WWII. America’s Douglas MacArthur was often photographed wearing one, as shown above. Practical yes, but they became fashion staples thanks to Marlene Dietrich and Humphrey Bogart in the 1940s and again when Audrey Hepburn and George Peppard donned his and her versions in the final scene of “Breakfast at Tiffany’s.” From screen royalty they achieved real life royalty status when none other than matching Burberry trenches were worn by Prince Charles and Princess Diana in 1983. More recently Kate Middleton sported a stunning white wool Burberry trench in 2011. The version sold out in one day. So, what should you look for in a trench? 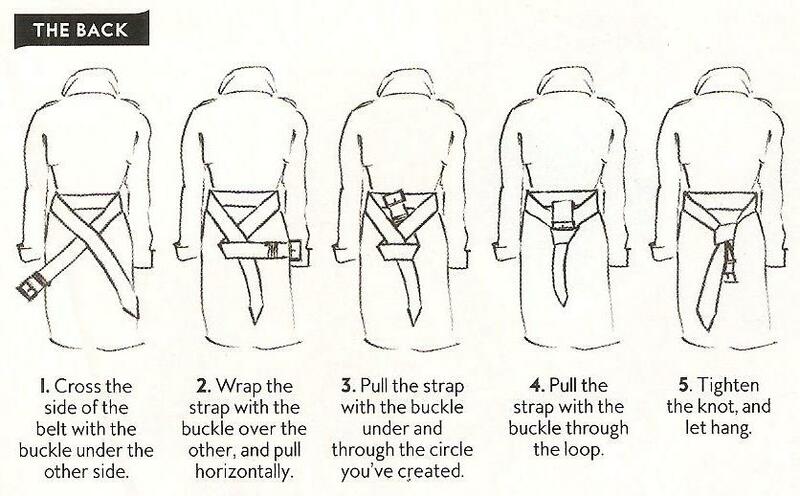 The right cut and proper shoulder fit are essential. If you think you’ll be wearing the coat over blazers or heavy shirts, choose a trench with a raglan sleeve. Length is also important. Coats cropped just below the hips are best for more petite figures while taller ladies can easily get away with versions that fall below the knees. Double-breasted is the classic cut, but curvy women might want to go for a more streamlined single-breasted silhouette. Finally, make sure the coat fits you well in the body and in the sleeves. Trenches that are to big will make you look sloppy and sleeves should fall about half-way down the hand. 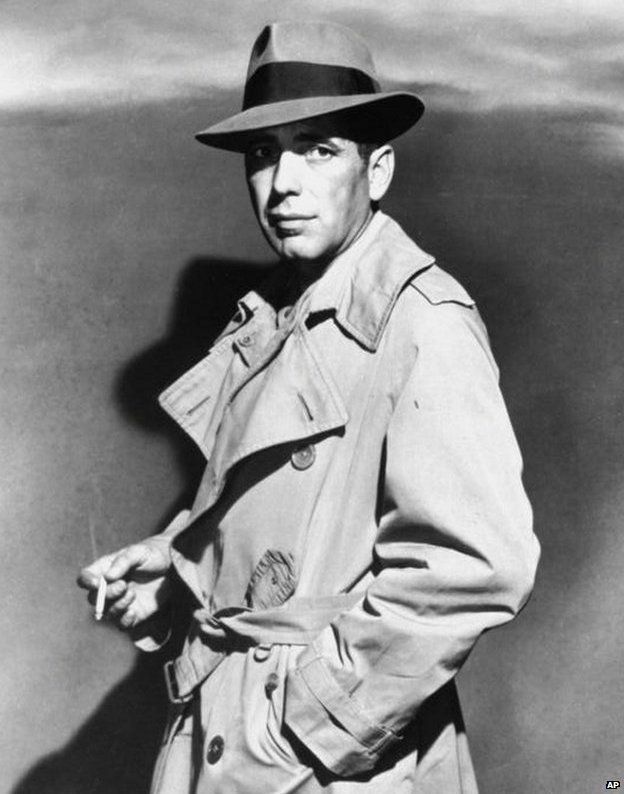 Something else that makes the trench coat stand alone is that, even though there are many colorful and patterned varieties available, the classic coat has remained true to its khaki heritage and has never really gone out of style. Whether it was welcomed by women wearing trousers for the first time in the 1940s, taking on First Lady chicness in the 1960s, or easily mixing with today’s blend of feminity and masculinity, it is still considered by many a stylist as the go-to outerwear piece for women of all ages. 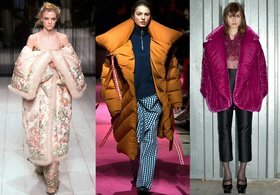 A style that is somewhat new and trendy is what is dubbed “puffers.” Although I remember wearing down coats back in the ‘70s, today’s versions are more fitted and less dough-boyish. The down or synthetic-filled channel style coats filling racks and magazines everywhere have been steadily gaining popularity and even recently graced runways, essentially sealing their fashionista status. Everyone from Chanel to Balenciaga showed them and you are sure to see them everywhere this winter. Puffers are, for the most part, casual toppers. You may find versions that could perhaps go over a dress and knee-high dress boots, but you’re more likely to see them worn with jeans or leggings. What’s great about them is that they are warm and waterproof but also lightweight and packable. Many even come with their own little pouch to pack them in! So, how do you choose one to fit your needs and budget? First, decide what those needs are. Do you need water resistant but mildly warm or do you need something to keep you both dry and warm in even the coldest of temps? Whatever the case, consider what your puffer is filled with. Then decide how much you can spend. There are many affordable options so don’t break the bank if the bank is on a budget. As “InStyle” magazine recently reported, when it comes to insulation, natural isn’t always better. Most people will say they prefer superfine goose or duck down but wool and cotton may offer more warmth for the weight. They also pack nearly effortlessly. Synthetic materials can also prove the better choice in wet conditions, as down often loses its ability to insulate in damp conditions. Down will also more than likely be the more pricey choice. You also want to pay attention to the coat’s “fill power rating,” which is basically how many cubic inches one ounce of down or filler occupies in the jacket. The lower the number, the lighter weight the coat but also the less warm. You’ll find puffer coats everywhere, from Target to Costco, Nordstrom to Neimans. You’ll also find them in every color and in various lengths. Details are as important as filler. Look for fleece-lined pockets, a tall collar and maybe even a removable hood, and pay close attention to what the outside of the coat is made of. Polyester, cotton, and nylon are usually windproof and you’ll want a water-resistant coating to keep you dry. Caring for your puffer is a matter of what you buy. Some are machine washable but others aren’t. Check the tags! If, or should I say when, your puffer loses its puff, simply put it in the dryer and run it on no heat with a tennis ball for around five minutes. When you’re done, go ahead and throw your feather pillows in for a quick puffing too! Sales are everywhere and Christmas is just around the corner. 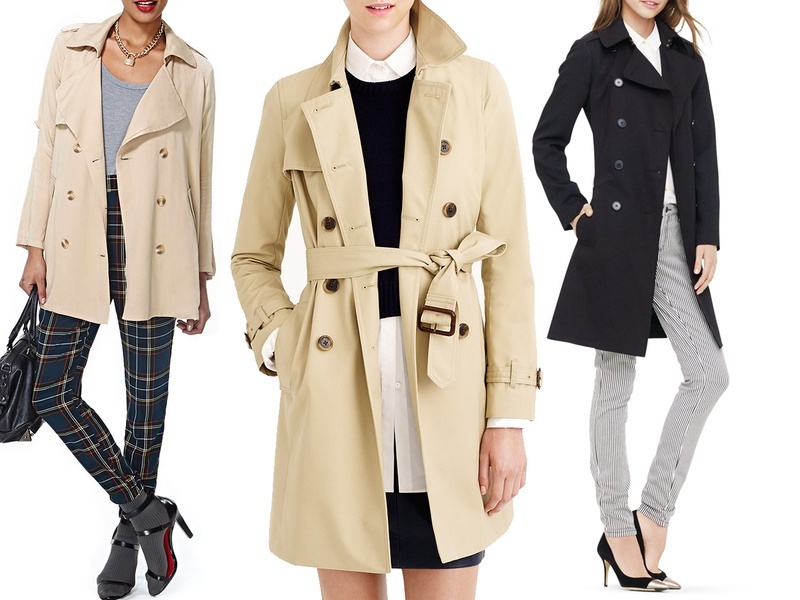 Shop the sales, shop wisely, and maybe even ask for a fun but good coat from Santa. We all know how much he likes and depends on a good coat!